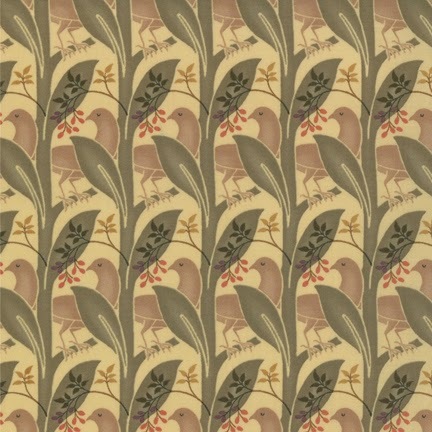 The Voysey Bird is hidden in the negative space in this print from my Moda reproduction collection. Charles F.A. 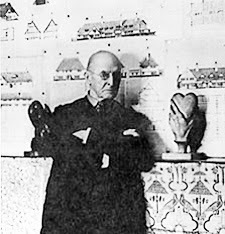 Voysey was an architect who, like William Morris before him, believed that the whole house should show an integrated design. The above metal plate was one of his signature images. 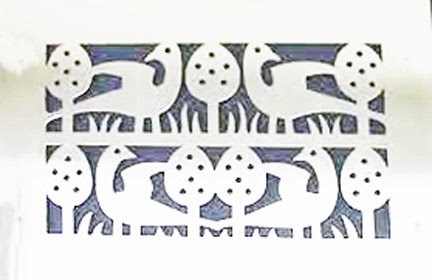 He covered the vents in his houses with this stylized bird and tree. 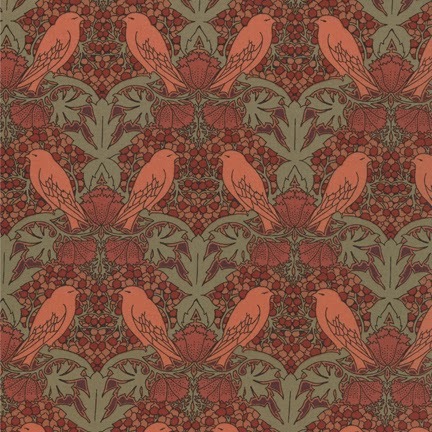 Birds often figured in his textile and wallpaper patterns. 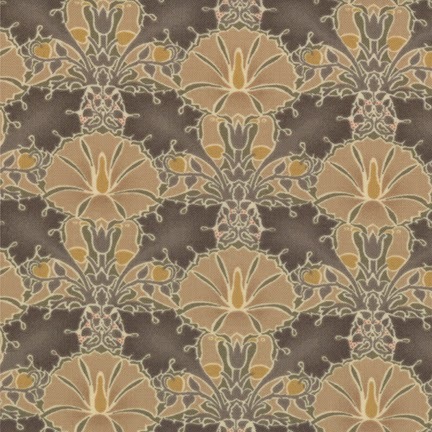 the bird was the figure, as in the colorway above. Sometimes the birds are hidden in the background. The birds hold up the flower above. 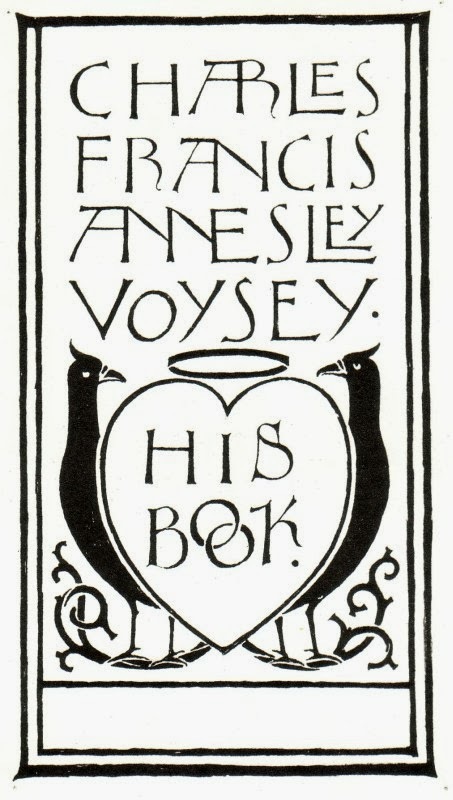 Voysey's birds are often interpreted as self-portraits. His birds frequently look like doves or pigeons. 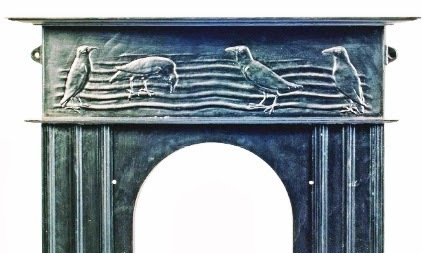 Crows on this fireplace surround? 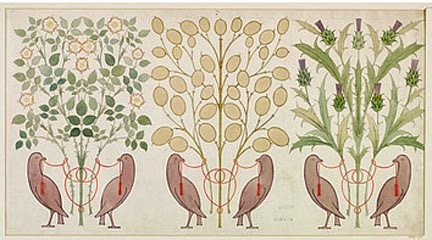 Voysey's bird designs offer many ideas for applique. 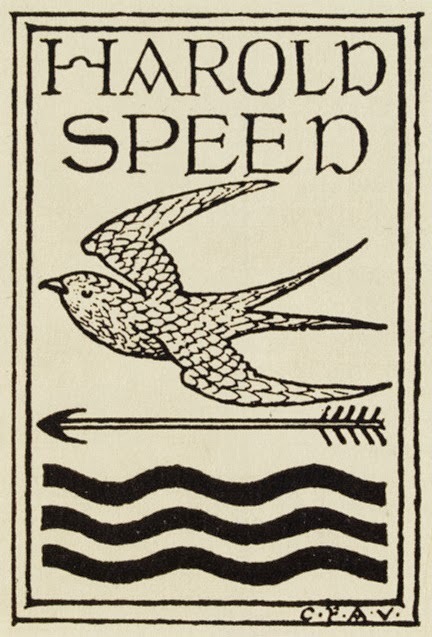 Very interesting about Voysey's birds. 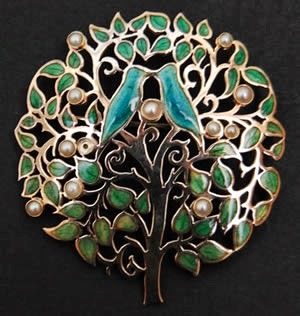 My Mother would have been very distressed to have bird motifs in her house. She had the superstition that a bird in the house foretold a death. I didn't mean to be anonymous. My name is Celia. 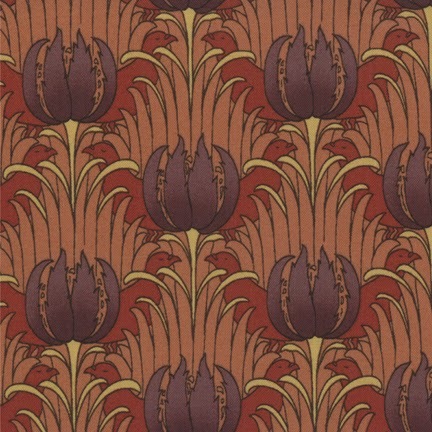 I love how they used the bookplates are ideas for fabric designs. I use old fraktur books for design ideas. bird that gets on the back porch.